For the first time in Thripunithura -from where Cochin was ruled by the erstwhile Kings ; a horticulture show was inaugurated on 12th January 2012. Named ' Hortus malabaricus flower festival' to remind people on their precious heritage;It was inaugurated by Kerala state ministers K.
A museum gallery to promote the legendary botanical reference classic and the spirit behind it's creation is functioning at the 'Centre for Heritage Studies'; 15 kms. Tags: 'Hortus Malabaricus' gallery at Tripunithra. On May 2010 Ms.Renee Ridgway,Mr.Van Amersfoort visited the birthplace of Kollat Itty Achuthan Vaidyan at Kadakkarappally- a small village -about 40kms. At the Kollat birthplace of Itty Achuthan the only remnant of his ancestoral house that remains is a small dilapidated wooden structure with a thatched roof . 'Kuriala' according to local people . Every evening a lamp is lit in the small lampmast in front by his descendents-the members of the present Kollat family- who lives adjacent to it. A book in Malayalam language about 'Hortus Malabaricus' - 'Hortus&ItyyAchuthan; truth or untruth' was released at 'Cherthala-the town near Itty Achuthan birthplace -in March 2012.Written by Mr.Chidambaran and published by 'Kerala Sahitya Academy'. Mr. Lambodaran released the book by giving the first copy to Mr.Ullala Babu. 2012 April 20; 333rd ANNIVERSARY OF 'HORTUS MALABARICUS'& ITTY ACHUTHAN DAY. Today marked the first time since 333 years that a diverse interest group gathered to discuss the importance of the Hortus Malabaricus in anno 2012. The Wanted Land, an exhibition of contemporary art by Renée Ridgway, opened at 5 pm on Saturday February 18, 2012 at David Hall, Fort Cochin, India. Attended by around 150 people, the evening also consisted of a discussion encircling the Hortus Malabaricus and the launch of the online community platform http://hortusmalabaricus.net. The Wanted Land focused on the cultural exchange that has occurred over the past 350 years on the Malabar Coast between the Dutch and the local population. 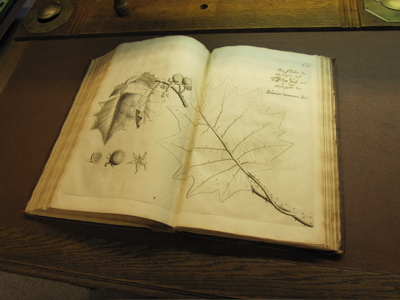 The production of the Hortus Malabaricus and the knowledge contained within it is still significant today.